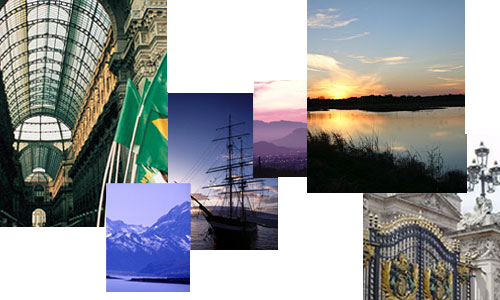 The purpose of the Baylor University ('Baylor' or 'University') Travel & Entertainment site is to aggregate all Baylor related travel and entertainment information into a convenient location in order to facilitate value added services. Travel - Baylor will reimburse, within budget limitations and in accordance with these policies, a faculty, staff, or student member (traveler) who travels as a University representative for the ordinary and necessary expenses directly related to authorized domestic and international travel. Approval for travel must be obtained from the department chair/head prior to departure, and each traveler should be prudent in his/her travel expenditures. Baylor faculty, staff, and students who will be traveling outside the United States individually or as a group should coordinate such travel with the Center for Global Engagement. Entertainment - Baylor will reimburse, within budget limitations and in accordance with these policies, a faculty or staff member who entertains as a University representative for the ordinary and necessary expenses directly related to University business. Compliance - Each department is expected to adhere to the University's Travel & Entertainment Policy to help assure the University's compliance with IRS rules and regulations and to promote good stewardship of University funds. Specific schools, departments, and funding sources may choose to be more restrictive than this policy due to budget constraints or other reasons; however, they must not be less restrictive. A University traveler must submit his/her Expense Report, with required information and documentation, for reimbursement of travel and/or entertainment expenses to his/her department chair/head upon conclusion of the trip and/or entertainment event. See Authorized Approvers for approval level of a traveler's/employee’s Expense Report. The department chair/head must review the Expense Report information and documentation for approval and submit it for payment to Accounts Payable within thirty (30) days of trip’s end date or the date the business meal and entertainment expense was incurred. Per IRS rules and regulations, expenses not submitted for reimbursement in a timely manner are subject to inclusion in the traveler’s/employee’s wages and reported as taxable income. A traveler who receives a fee, honorarium, or expense reimbursement from other organizations must deduct this amount from the total travel cost to determine the amount to be reimbursed by the University. Travel performed on a cost sharing basis with another organization will be administered in the same manner as fully reimbursed travel. This policy was developed to encompass matters related to University travel and entertainment. Occasionally, an issue will arise that is not covered specifically by this policy. For a listing of departments responsible for the administration of this policy, see Contact Us. When this policy does not specifically address a situation, the Associate Vice President for Financial Services & Treasurer and Associate Vice President for Operational Planning & Budget Director will coordinate the course of action required.